The Dodge Journey is one of the newer Chrysler vehicles to offer navigation whenever you want it: with the right interior features, the GPS can be turned on later at the Chrysler/Dodge dealer. The 2013 Dodge Journey is a clever tweener, with three rows of seats if you need, and manageable size all the time--at a very reasonable base price. The Dodge Journey crossover with sporty driving dynamics and wagon-like design cues. And for the most part, it's lagged behind against competitors like the Ford Edge, Hyundai Santa Fe, Honda CR-V and Toyota Venza. The Journey sits in the heart of the mid-size crossover market, but may have a bit of a perception problem since it actually comes in both five- and seven-passenger versions--one of its great advantages, along with good packaging and great feature content. The Journey's poor timing is to blame, we think, because with recent updates to the drivetrains and interior, it's a very competitive, in-between offering that splits the different between too big and not flexible enough. The Journey was new in 2009, when Chrysler was in the middle of corporate turmoil, and in that original form the interior and its refinement just weren't up to the task. Now, with the smoother instrument panel and trims subbed in a couple of years ago, as well as the new Pentastar V-6 and some improvements that make the Journey quieter and smoother, the Journey is one of the better picks among crossovers--especially if you want a small third row for extra occasional kid space but don't want to be driving a huge vehicle. The Journey walks the line between boxy SUVs and tall wagons, but what we like most is how it shakes off the same-as sheetmetal dressing other crossovers and puts on sheetmetal that's refreshingly different, even if it isn’t necessarily fresh. The look isn't so different as to be wacky, but different enough to avoid the family-vehicle styling rut. Inside, the Journey follows a smooth, swoopy look and simple layout, with large dials and knobs and an LCD touchscreen framed by high-quality materials. The Journey's handling is reasonably responsive. Last year Chrysler reworked the suspension to include stiffer, better-responding shocks and a lower ride height in front, and it's honed some of the Journey's duller responses. The ride quality remains a strong point, with the proper damping and roll control for a family vehicle, but the rather quick steering ratio feels a little out of place. There's a lot for busy parents to like about the 2013 Journey. Dodge and Chrysler clearly applied some of its long-honed expertise with minivans to this interior, as people and cargo really fit well and there are plenty of smaller spaces for personal items, toys, and accessories. Front seats are what we’d best describe as ‘American-sized’—think wider than some other seats. Back-seat accommodations are among the best you’ll find in any vehicle this size, and the seats are contoured to fit adults; the seatback is adjustable for rake, and the whole bench slides fore and aft a few inches, so it’s easy to get comfortable back there. The rear seat folds fully flat, and under the rearward portion of the cargo floor there’s a huge space vast enough for a couple of laptop bags. 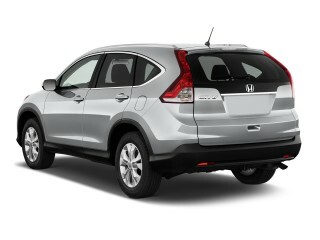 The Journey is offered in an extensive lineup, with AVP (American Value Package), SE, SXT, Crew, and R/T models. Several of the models (the Crew and R/T) get more features for the money in 2013, and prices for the top R/T model have actually been dropped $1,000 versus 2012. You'll need to step up to SXT models to get either the V-6 engine or all-wheel drive. But even with the base model you get power windows, locks and mirrors; air conditioning; cruise control; pushbutton start; a cooled glove box; a telescoping steering wheel; and an AM/FM/CD player. Bluetooth isn't included on the base model, but it is a $395 option. Seven-passenger seating is available even on the base model, while you'll also need to get the SXT to get the UConnect media center option. That includes an 8.4-inch touch-screen that at the top of the lineup can combine with a Garmin navigation system that isn't all that intuitive. Sirius Satellite Radio and TravelLink features are available, along with a premium audio system. The 2013 Dodge Journey has a look that stands out as refreshingly different, especially from the outside. The Journey walks the line between boxy SUVs and tall wagons, but what we like most is how it shakes off the same-as sheetmetal dressing other crossovers and puts on sheetmetal that's refreshingly different, even if it isn’t necessarily fresh. The look isn't so different as to be wacky, but different enough to avoid the family-vehicle styling rut. The smartly embossed fenders, straightforward crosshair grille, and square-shouldered stance give it a faintly athletic look--probably as much to do with its compact size as anything else--and while it's somewhat slab-sided, the lipped wheelwells and chiseled sheetmetal feel striking in this era of crossovers that seem to go either for extreme boxiness or more carlike rakishness. 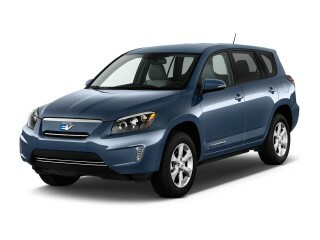 The 2013 Journey accelerates strongly and handles well--provided you get the V-6. 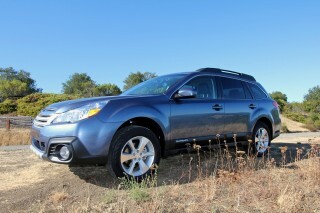 Forget about the Journey if you're set on the idea of a four-cylinder or top-drawer fuel economy. Their loud, coarse 173-hp, 2.4-liter four-cylinder engine and four-speed automatic are dawdling and disappointing in nearly every respect. Otherwise you should head straight to one of the V-6 versions, as they're excellent and refined. Chrysler's 3.6-liter 'Pentastar' V-6 makes 283 horsepower and is hooked up to a six-speed automatic for much better responsiveness. The six-speed automatic can take some of the polish off the package, though: in some versions we've driven, the automatic juddered and hesitated before it downshifted. Flexible seating, good passenger space, and plenty of small-item storage makes the Journey one of the most thoughtfully designed crossovers. . There's a lot for busy parents to like about the 2013 Journey. Dodge and Chrysler clearly applied some of its long-honed expertise with minivans to this interior, as people and cargo really fit well and there are plenty of smaller spaces for personal items, toys, and accessories. Overall, there's good seating for a full-size family without full-size parking drama. Safety ratings for the Journey have been good, and the feature set is respectable. The 2013 Dodge Journey has excellent safety ratings from both U.S. test programs, and its roster of features is complete for a vehicle in this class. The Insurance Institute for Highway Safety (IIHS) has named the Journey a Top Safety Pick in previous model years, as it's earned top 'good' ratings for frontal, side, and rear impacts as well as roof strength. That designation is carried over for the 2013 model year. And the National Highway Traffic Safety Administration (NHTSA) gives the Journey an overall rating of four stars, with a five-star individual score for side-impact protection. The Dodge Journey is a pretty strong value for the money, and its connectivity and entertainment options are standouts. 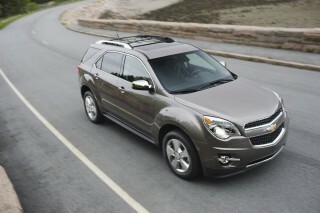 The Journey is offered in an extensive lineup, with AVP (American Value Package), SE, SXT, Crew, and R/T models. 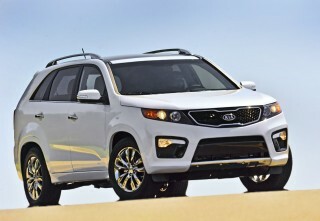 You'll need to step up to SXT models to get either the V-6 engine or all-wheel drive. Crew and R/T models get added features for 2013, for better value, while prices on the R/T have actually dropped by $1,000. But even with the base model you get power windows, locks and mirrors; air conditioning; cruise control; pushbutton start; a cooled glove box; a telescoping steering wheel; and an AM/FM/CD player. A USB port is also included, although it's tucked away in the center console. Bluetooth isn't included on the base model, but it is a $395 option. Seven-passenger seating is available on any of the models. The 2013 Dodge Journey is in the ballpark, but it's no fuel-sipping standout. Don't think of the 2013 Dodge Journey if you want to minimize your fuel budget. The Journey is solidly in the average range, among vehicles of this type, although if you're planning to go with the V-6 its real-world mileage is reasonably good. junk and dodge will stand behind it. I own a journey and so far are very happy with it, no problems whatsoever, SUV crossover is very stylish and affordable.I would recommend my friends to buy one.